Kamp Amersfoort in 1939 still was a complex of barracks that supported army artillery exercises on the nearby Leusderheide. From 1941 onwards, it didn't merely function as a transit camp, as the name suggests. The terms "penal camp" or "work camp" would also be fitting. During the existence of the camp many prisoners were put to work in kommandos. In total around 37,000 prisoners were registered at Amersfoort. Visible in the windows, above and below, of most residences and behind closed lace curtains, were numerous silhouettes, especially those of children. Usually the silhouettes did not move. Sometimes, feebly and furtively, they waved. Children who waved were very quickly pulled back. It was a farewell from the inhabited world -- now a realm of shades. The history of the camp can be separated into two periods. The first period started on August 18, 1941 and ended in March 1943. In March 1943 all but eight of the first prisoners in Amersfoort were transferred to Kamp Vught. The prisoner transfer to Vught allowed for the completion of an expansion of Kamp Amersfoort. Maintaining the camp, despite Kamp Vught coming 'online' in January 1943, still appeared necessary to the Nazis. Amersfoort was a transit camp, where prisoners were sent to places like Buchenwald, Mauthausen and Neuengamme. It was on July 15, 1942 that the Germans began deporting Dutch Jews from Amersfoort, Vught and Westerbork to concentration camps and death camps such as Auschwitz, Sobibor and Theresienstadt. The remaining watchtower, as can be seen on the commemorative place, was built around April/May 1943, when the expansion of Kamp Amersfoort was completed and prisoners could be placed there again. In a lot of ways Kamp Amersfoort had changed relative to the first period. The most important changes were the much larger 'housing capacity', and the faster 'turnover'. What stayed the same, were the anarchy, the lack of hygiene, the lack of food, lack of medical attention and the cruelty of the guards. A point of light for the prisoners was the presence of the Dutch Red Cross. The second period ended on April 19, 1945, when control of the camp was transferred to Loes van Overeem of the Red Cross following the sudden flight of the German camp staff. The facility remained in operation under the auspices of the Red Cross until May 7, when Canadian soldiers of the First Canadian Army arrived to officially liberate the camp. Soldiers of I Canadian Corps fighting north from Arnhem were halted about a mile from Amersfoort before the end of the war, and liberation came on the day the German forces laid down their arms in the Netherlands. The camp and surrounding area was administered by the 1st Canadian Division and later transferred to the 3rd Canadian Division, Canadian Army Occupation Force in June 1945. The fluctuating prisoner population showed an eclectic group of people from all over the Netherlands: Jews, Jehovah's Witnesses, prisoners of war from the Soviet Union, members of the resistance, clergy, black marketeers, clandestine butchers and smugglers. From 1941-1943, 8,800 people were imprisoned in the camp, of which 2,200 were deported to Germany. During the period 1943-1945, 26,500 people were imprisoned, of which 18,000 were sent east to places like Buchenwald and Natzweiler concentration camps. After the re-opening in 1943, 70 Jews from Kamp Vught and 600 Jews from Kamp Westerbork of British, American and Hungarian nationality were briefly sent to Kamp Amersfoort. They were joined by contract breakers of the German Arbeitseinsatz (forced labour program), deserted Waffen SS soldiers, deserted German truck drivers of the Nationalsozialistische Kraftfahr-Korps, and lawbreaking members of the NSB (the Dutch National Socialist Movement). In 1948 the camp commandant and guards of Amersfoort were tried and convicted for their crimes. Karl Peter Berg was sentenced to death and was executed in 1949. Josef Johann Kotälla was also sentenced to death but it was later commuted to life in prison. Along with three other prisoners he became involved in what was known as the "Breda Four", a group of prisoners whose possible release stirred up very strong feelings amongst Dutchmen. Kotalla was never released and died in prison. The Netherlands Institute for War Documentation (NIOD) has many resources concerning the guards of Amersfoort and their trials. The NIOD has dossiers on the following Amersfoort guards and personnel: Berg, Brahm, Dohmen, Fernau, Helle, Kotalla, May, van der Neut, Oberle, Stover, Voight, Westerveld and Wolf. Newspaper clippings are available for Berg, Fernau, Stover and Helle. 1) Indictment and verbal reports made by the period of the trial against EE Alscher, K.P. Berg, E. Brahm, J.J. Kotälla, e.g. May, J. Oberle and H.H. Wolf, November 16–14 December 1948. 2) Graphic shorthand reports made by the period of the trial against EE Alscher, K.P. Berg, E. Brahm, J.J. Kotälla, e.g. May, J. Oberle and H.H. Wolf, 16–23 November 1948. 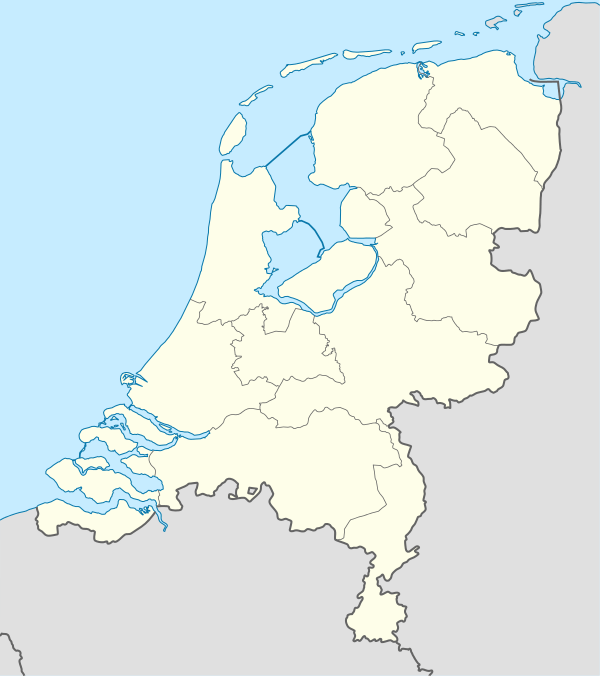 List of 69 Jews who came out of hiding from various towns in the Netherlands after World War II. One person on the list is from Amersfoort. ↑ Encountering God in the Abyss, by Constant Dölle, John Vriend, page 133. Peeters 2002. ↑ Yad Vashem Studies By Yad ṿa-shem, rashut ha-zikaron la-Shoʼah ṿela-gevurah. Published by Yad Vashem Martyrs' and Heroes' Remembrance Authority, 1996; Anne Frank and after by D. van Galen Last, Rolf Wolfswinkel, page 157. Amsterdam University Press 1996. ↑ United States Holocaust Memorial Museum. http://www.ushmm.org/wlc/article.php?lang=en&ModuleId=10007765. ↑ For example, on April 19, 1944, 499 Dutchmen were sent from Amersfoort to Buchenwald. Stein, Harry. Buchenwald concentration camp 1937-1945, page 175, edited by the Gedenkstatte Buchenwald; Three transports of Jews from Amersfoort to Mauthausen and Auschwitz via Westerbork. Netherlands Institute for War Documentation, Collection 1997.A.0117, Reel or Fiche Number: 389, Admin Number: Collection 250K, Mauthausen; Transports from July 1943 to February 1944 from Amersfoort to Natzweiler. Netherlands Institute for War Documentation, Collection: 1997.A.0117, Reel or Fiche Number: 347, Admin Number: Collection 250F, C(62)312.1 1, . ↑ Etty, By Etty Hillesum, K. A. D. Smelik, Arnold Pomerans, page 416. Owl, 2001. ↑ http://www.kamparchieven.nl/en/amersfoort.html. Kamparchieven.nl is a publication of the Netherlands Institute for War Documentation in cooperation with institutions that hold archives or documentation on German prison camps on Dutch territory. ↑ From the Testimony of Yehudit Harris about Life in Amersfoort, Shoah Resource Center; Overduin, Jack. Faith and Victory in Dachau, page 94. Paideia Press 1978. ↑ Overduin, Jack. Faith and Victory in Dachau, page 60. Paideia Press, 1978. Also see page 158-159 of Hitler's Bounty Hunters: The Betrayal of the Jews, by Ad Van Liempt, Berg New York City. A bizarre "trial" is described here with a camp guard Westerveld being the judge and Karl Peter Berg the defendant's lawyer. When the defendant was convicted and sentenced to death, Berg's response was "Ich bin damit einverstanden." ("I concur"). ↑ Graef, Robert. Bicycling to Amersfoort: A World War II Memoir, page 134. iUnverse 2005. ↑ Van der Zee, Henri. The Hunger Winter, page 125. University of Nebraska Press, 1998. Wikimedia Commons has media related to Kamp Amersfoort.